“Movement in Paper” pushes the boundaries of Origami with creations that delight and inspire through their design, innovation, and interaction. 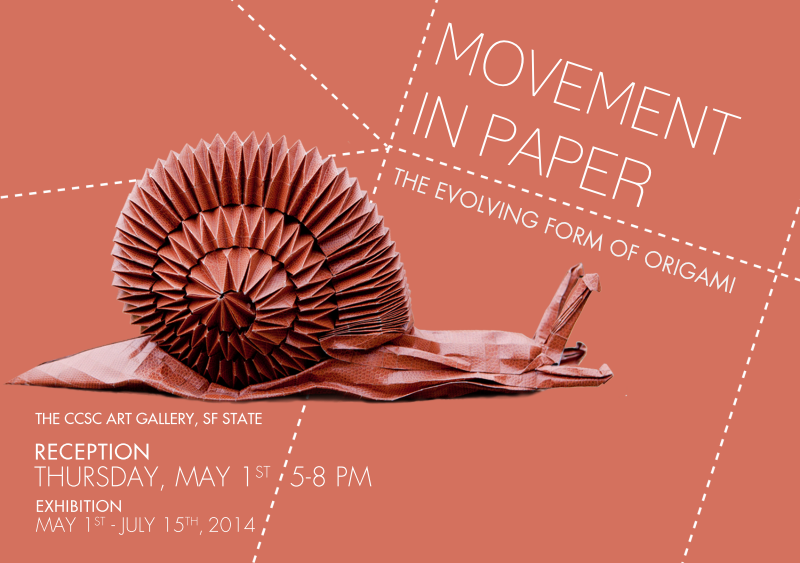 The collection brings together Bay Area locals and international Origami artists to showcase the transformation of Origami into modern paper sculpture from an ancient ceremonial art in Japan. Today Origami extends beyond its traditional forms into the realm of contemporary sculpture. Arguably one of the forefathers of modern origami Akira Yoshizawa transformed the art from flat folded models to dimensional forms, breathing life and realism into his origami sculptures. The shift in modern Origami has opened up exploration through various modalities, some of which include an emphasis upon representational realism to the possibilities of advanced mathematics. These challenging puzzles are made without cuts or glue; their intricacies are due only to the manipulations of a single sheet of paper. In other instances, multiple parts are folded together to create modular frameworks that expand and contract. 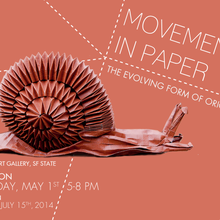 The works included in “Movement in Paper” represent the diverse formats through which Origami now finds expression in cultures around the world. Try your hand at folding, experience a cultural art form from Japan, and be amazed by the many dimensions of modern Origami. Collection is generously on loan from June Sakamoto and Vicky Mihara Avery. Front Cover Credit: Origami snail created by Eric Joisel, France. Meet Eric Nakamura, curator of “SuperAwesome Art and Giant Robot” on exhibit at Oakland Museum of California. 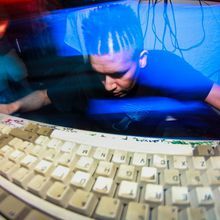 Hear about his journey with Japanese popular art as Giant Robot celebrates 20 years – transforming from a zine to collectors shop to a multiplatform art space for emerging Asian American and trans-Pacific artists. Wednesday, May 14th, 6:00 pm - “Evolving Origami - A Hands-On Workshop” – Presentation and demonstration by origami educator, Vicky Mihara Avery. Discover the evolving art of origami from a Japanese traditional craft to a contemporary art that explores new forms and inventions and reaches an international audience.